There is never a more perfect opportunity to be yourself and to showcase your unique sense of style than at a wedding: whether you’re the bride, in the bridal party, or simply a wedding guest. 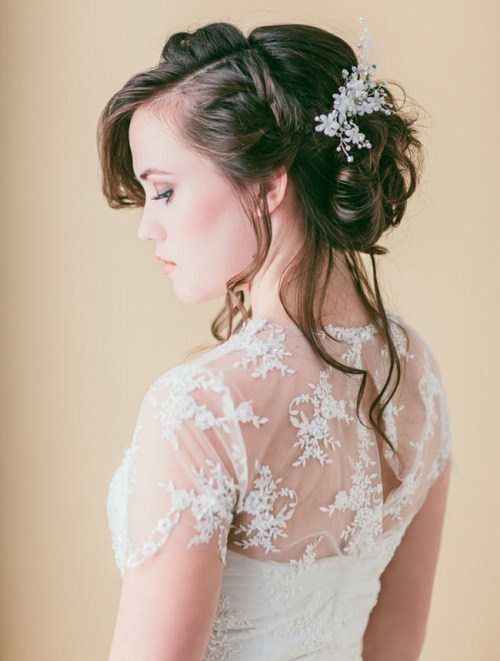 Weddings are about style and personal fashion, and we believe that wedding hairstyles should match each person’s unique tastes and personality, while still fitting in with the overall wedding theme. 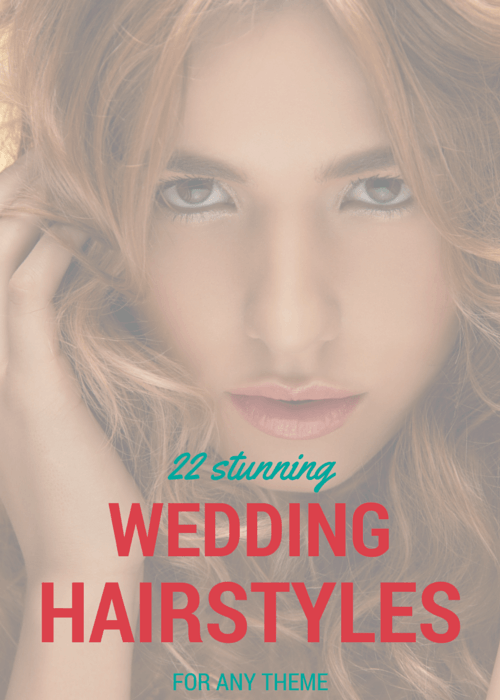 If you’re on the hunt for the perfect ‘do for an upcoming wedding, check out these 12 unique hairstyles and see which one speaks to you. 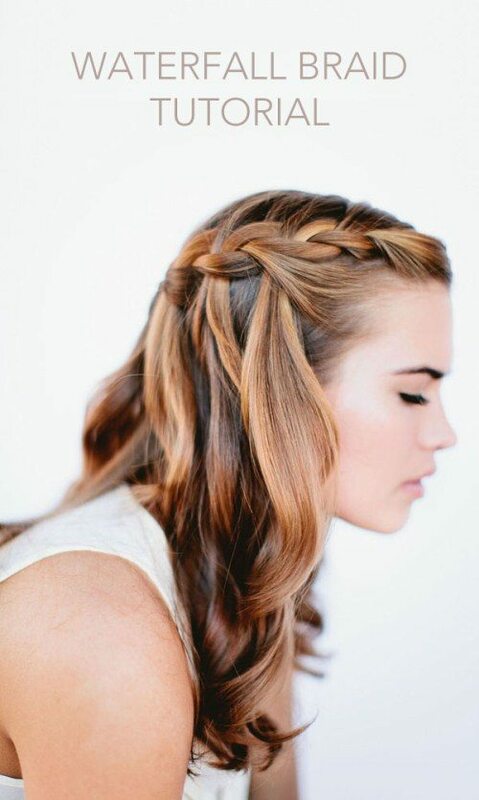 Messy braids look oh-so simple, like you’ve just rolled out of bed and couldn’t be bothered creating a more formal hairdo, so you simply grabbed some loose tendrils and braided them with one hand while you applied your mascara with the other. In reality, of course, creating the perfect messy look can often be more time-consuming and intricate than the most seemingly put together look. Sometimes all about the effect though, isn’t it? The French roll is a formal wedding classic – just ask your grandmother or anyone else of that vintage. There’s something to be said for the classics, though, and we love this hairstyle which effortlessly combines the style of a traditional French roll with the modern flair of a loose braid. So many modern updo hairstyles rely on sleek, straight hair as the starting point. 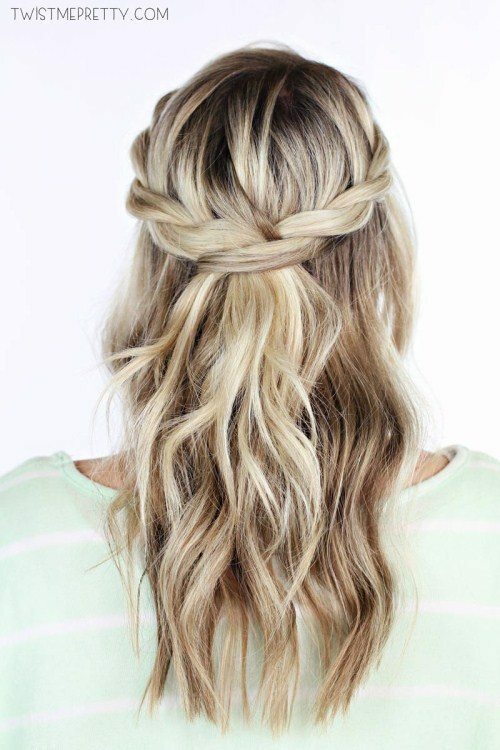 Messy braids are based on excess bangs floating effortlessly down and framing the face, which is perfect if you’ve got naturally straight hair or if you’re best friends with your GHD hair straightener, but for women with naturally curly hair many of the standard updo hairstyles simply don’t work. We love this look because it accentuates already curly hair, creating a stylish updo solution where the column of tight knots fit perfectly with the look of already curly hair. 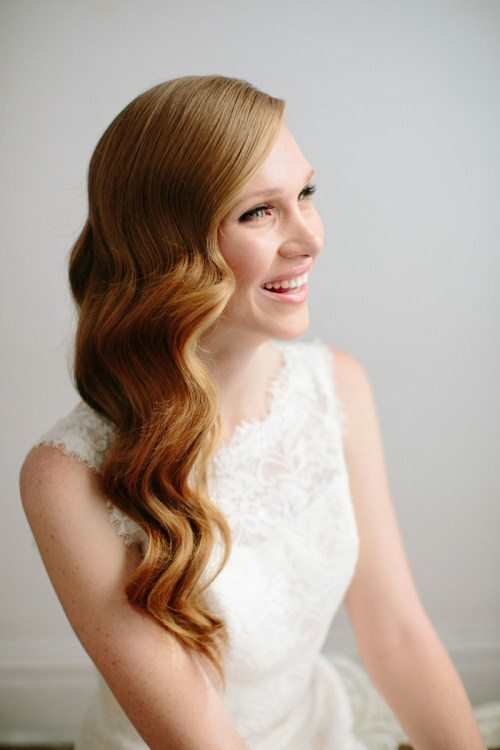 Not every wedding hairstyle has to be an updo, and not everyone has naturally sleek, straight hair. For those (naturally or otherwise) curly haired women who would like to wear their hair out while still showcasing an element of hairstyling skills, this is the perfect solution. We love the loose, rolled crown which provides a certain amount of class, and can also be used to pin a flower or other hair accessory. This hairstyle screams class, sophistication and elegance. You’ll need to have naturally sleek and straight long hair to begin with, or be prepared to schedule some quality time with your best smoothing serum and hair straightener. The end result of full wavy curls cascading over one shoulder lends a demure feel to an essentially simple, completely hair-out hairstyle. We say ‘easy’ since this looks like the kind of hairstyle that will take at least five attempts before it looks sufficiently messy, last-minute and thrown together. Isn’t it ironic how a simple, thrown together look can often be the hardest to achieve? 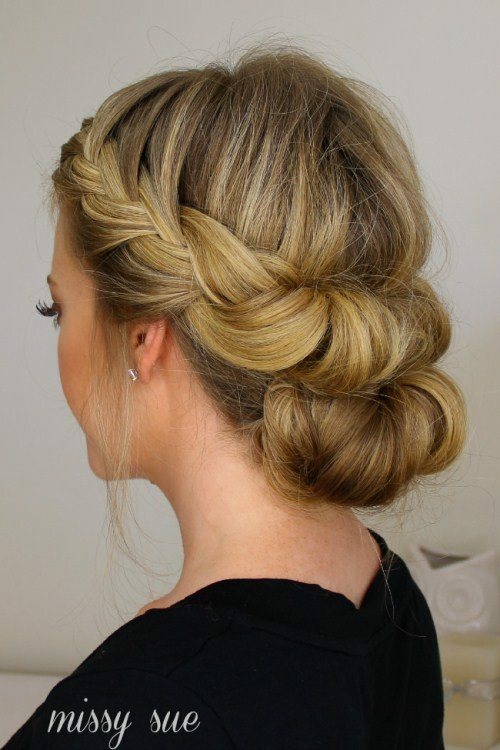 Once the technique has been mastered, though, this is the kind of hairdo that can be reused for almost any situation, and can easily be dressed up with a glamorous hair accessory, or dressed down with a simple flower. The instructions for this ‘high atop the head’ bun say that it is perfect for any hair type from curly to frizzy to pin-straight. 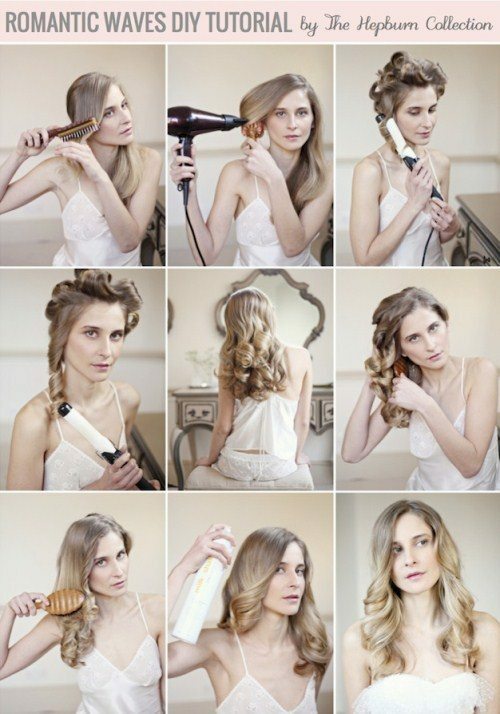 On the other hand, the first step is to use a curling iron to curl any naturally straight hair, so perhaps this hairdo is really best suited to those with naturally curly or at least wavy hair. 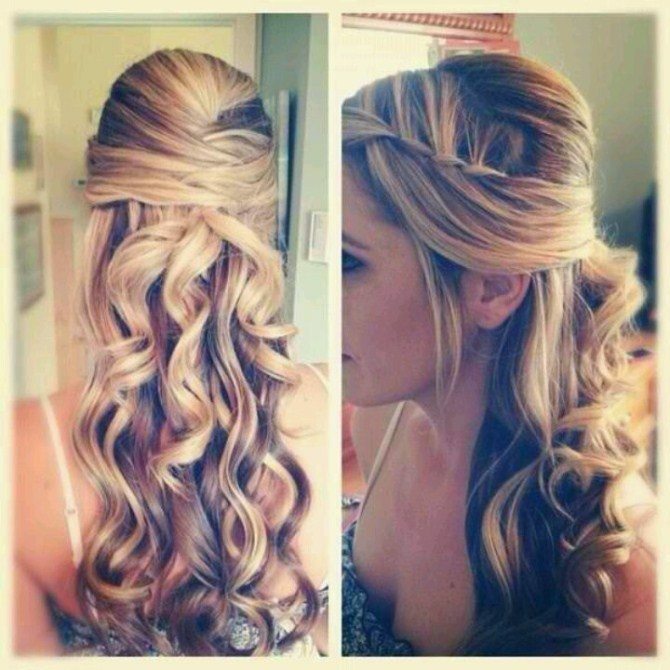 This style is perfect for a casual outdoor wedding when your main aim is to have your hair off your face and neck. The hairstyle is sufficiently neat and tidy to not require constant adjustment, leaving you free to enjoy the wedding without constantly being bothered by your hair. The half up half down is a hairstyle staple for so many women, and this twist on the classic multipurpose look would work equally well for straight hair as it does with curly hair. The braid on the side adds a modern feel, and the multi-layers of criss-cross at the back class up the ‘one hair elastic’ that usually underpins this day in, day out hairstyle. If you are tempted to go for a half up half down hairstyle, this is a simple alternative that won’t take much extra time but will achieve a decidedly more modern, devil-may-care look. In this example the hair has been braided in two sections from either temple, meeting at the back with a couple of bobby pins. For those of us who never quite mastered the braid, a simple plait will achieve almost the same effect: just be careful to keep everything loose so that you don’t have the tell-tale white lines on your scalp where the plait begins. After all the complicated updos we have showcased so far, somehow it is this deceptively simple natural looking hairstyle that most appears like you’ve just walked straight out of a hair salon. Sure, the style won’t happen in five minutes and you’ll need to have an arsenal of appliances at your disposal, but the end result is stunning and you will surely get quicker at pulling off the look the more you practice. 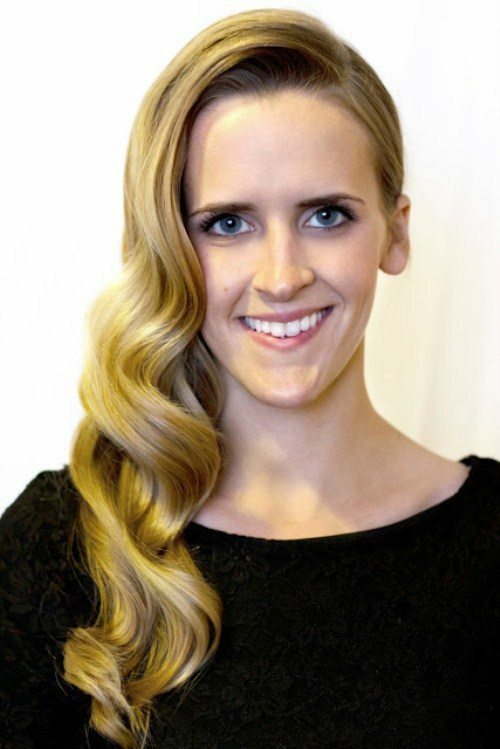 If you’re the type who prefers to wear your long hair out most of the time, the side sweep is a glamorous look that doesn’t require you to venture completely outside your style and comfort zones. In essence, this look is simply all of your hair swept over one shoulder, arranged into loose curls with the help of a curling iron, and secured with a clip at the back. It’s the perfect solution for anyone who doesn’t want an updo, yet wants to style up their everyday look. If you’ve got braiding skills, you’ve also got the means to create the perfect hairdo that will fit perfectly with any occasion, from casual to sophisticated. This is the perfect example of how some well-placed braids can create a cascading hairstyle that both frames the face yet pulls the hair back in an attractive and practical manner. Now that your hairstyle is sorted, it’s time to concentrate on enjoying the big day knowing that you will look fantastic in all the wedding photos. And when you’ve got that perfect photo, click here and we’ll turn it into a stunning canvas, acrylic glass, or aluminium display to suit any home.